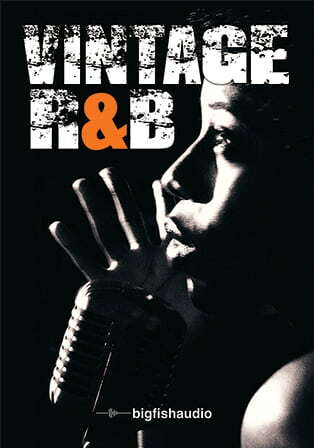 VINTAGE R&B is a collection of 25 construction kits inspired by the classic Rhythm & Blues sounds originally produced by Motown and Stax Records in the 1960s and 70s. Today, these great sounds have also been embraced by many contemporary artists, including Amy Winehouse, Joss Stone, Rafael Saadiq, Sharon Jones and the Dap Kings, and others. 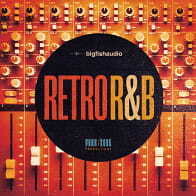 VINTAGE R&B features nearly 7 GB* of live-played loops, all brimming with old school attitude: funky drums, in-the-pocket bass, funk guitar, keyboards, congas, percussion, and a fat five-piece horn section with trumpet, alto sax, tenor sax, trombone, and baritone sax. The Following End User License Agreement is included with Vintage R&B. This License is only valid for the individual who has purchased an unopened, new and lawfully made copy of Vintage R&B from a dealer or distributor authorized by Big Fish Audio. 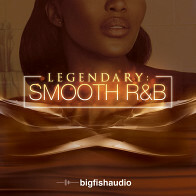 Big Fish Audio finds form yet again with this fantastic collection of varied samples. Live drums, guitar, bass, keys and a huge selection of horns and percussion combine to make up 25 excellent construction kits. So what is Vintage R&B? It's a library that captures the sounds of that old school Motown and Stax Records. It brings that live, raw, authentic sound from the 60's and 70's right into your sampler.